We are very excited to host a guest post from local chef Jason Trahan this week! Jason created two custom recipes just for the occasion. One features Maple Valley’s maple sugar, and the other has our maple syrup. 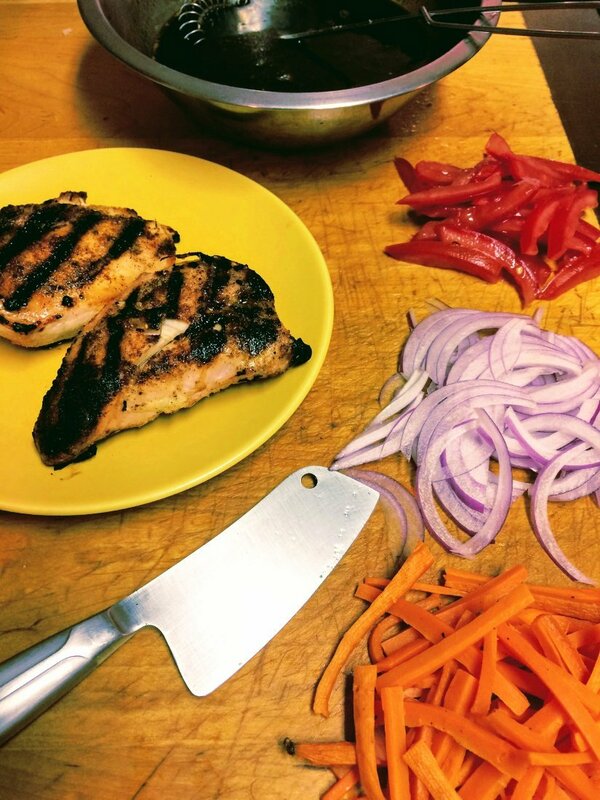 Read on for the recipe and a step-by-step walk through from Jason. Enjoy! 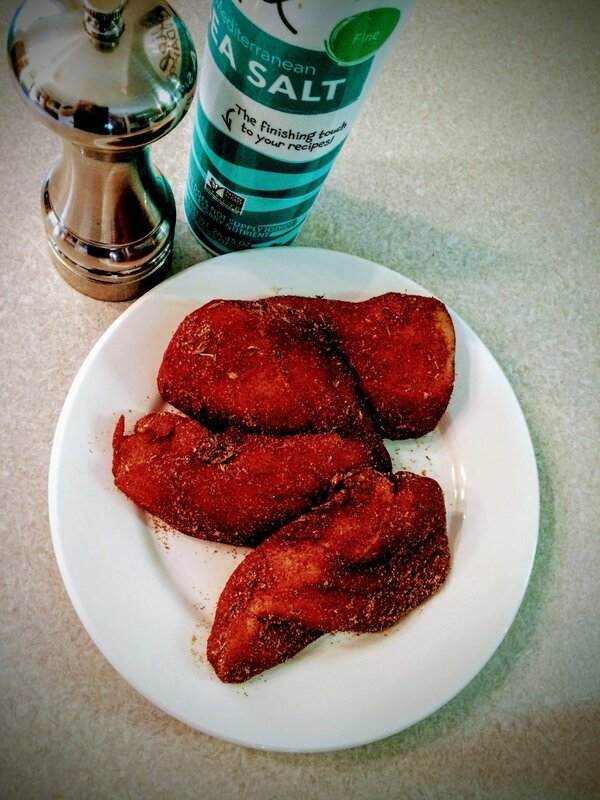 This dry rub recipe is quite universal and works well with a variety of meats, especially pork and poultry. In this case, I’ve used it with some organic chicken breast. Its one of my favorite rubs because of its sweet and savory flavors, especially the richness of maple sugar. 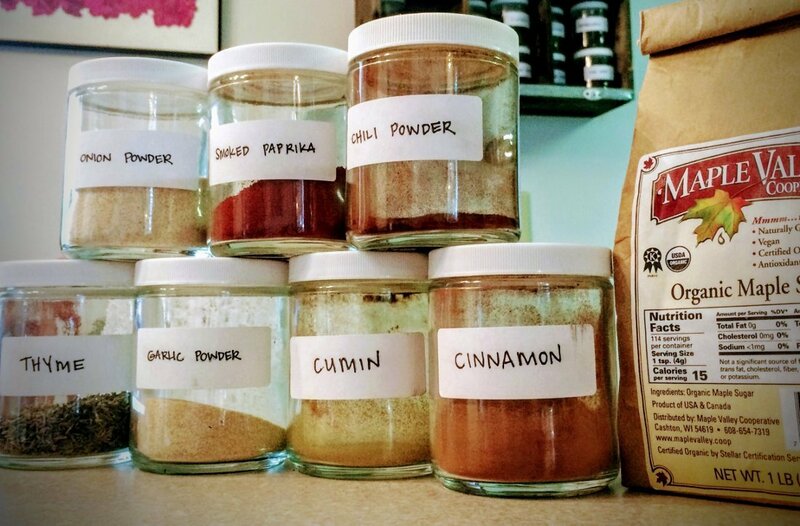 Start by mixing together your ingredients. 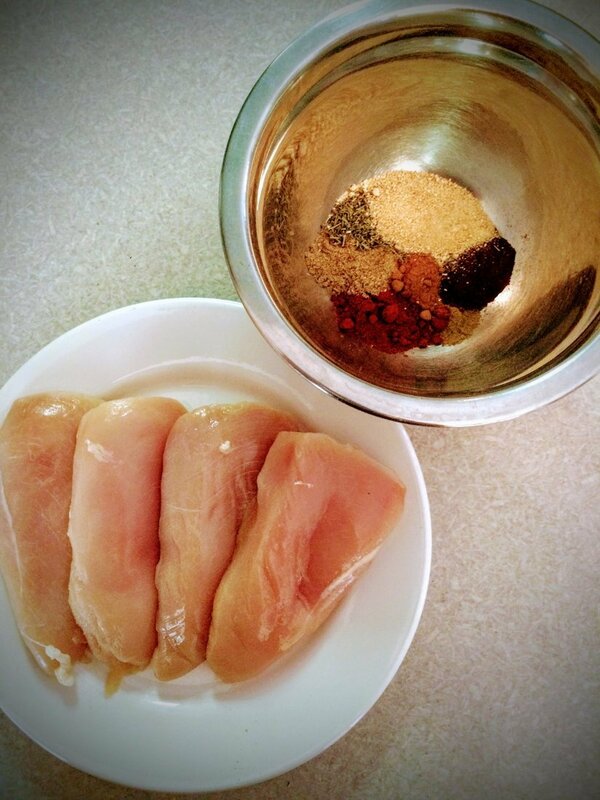 Apply this dry rub to your chicken breast liberally and allow to sit for a minimum of two hours. If time allows, you can apply to meats 12-24 hour in advance for fullest flavor absorption. When grilling, its always best to allow your grill to preheat for 10-15 minutes before applying meats. Once chicken has been put to grill, I recommend using medium high heat to cook. The sugar will caramelize quickly and burn too fast when using high heat. Typically, a 6oz chicken breast will need to be cooked about 5 minutes each side having been rotated every couple minutes. 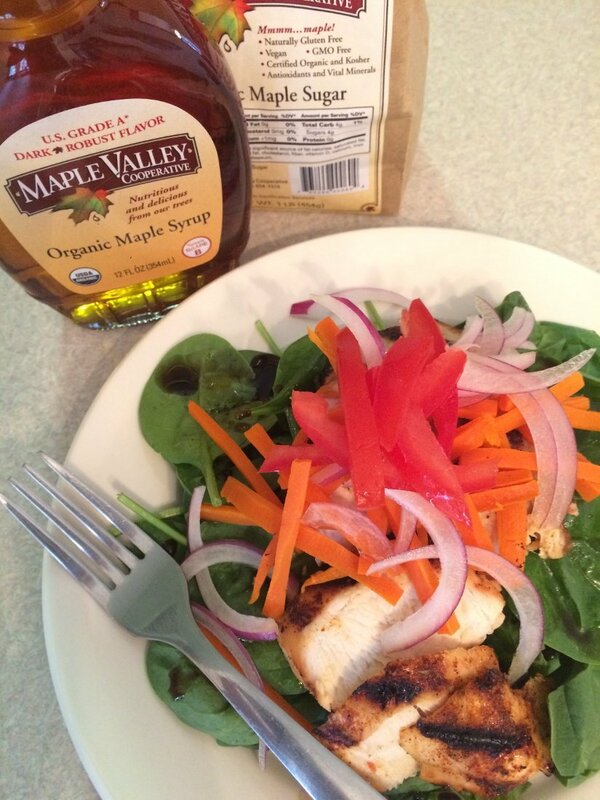 Along with the grilled chicken I’ve chose to use a maple balsamic vinaigrette using Maple Valley syrup and balsamic vinegar over a mixed salad. 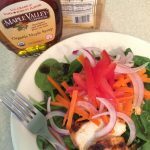 The maple balsamic vinaigrette is extremely simple and is one of my all around favorites for all types of mixed salads. In this case I’ve used baby spinach in this salad, but really any variety of greens will compliment this dressing, it is very versatile. Basically, its equal parts balsamic vinegar and maple syrup with a dash of rosemary. I’ve julienned some carrots, tomatoes and red onion for extra flavor and texture, but again, any other vegetables will be easily substituted like bell peppers, radishes, corn or peas. Cheese is also not entirely out of the question. I would suggest feta or goat cheese if desired. These cheeses tend to offer a nice salty and rich compliment to the sweetness of the vinaigrette and the dry rub on the chicken. 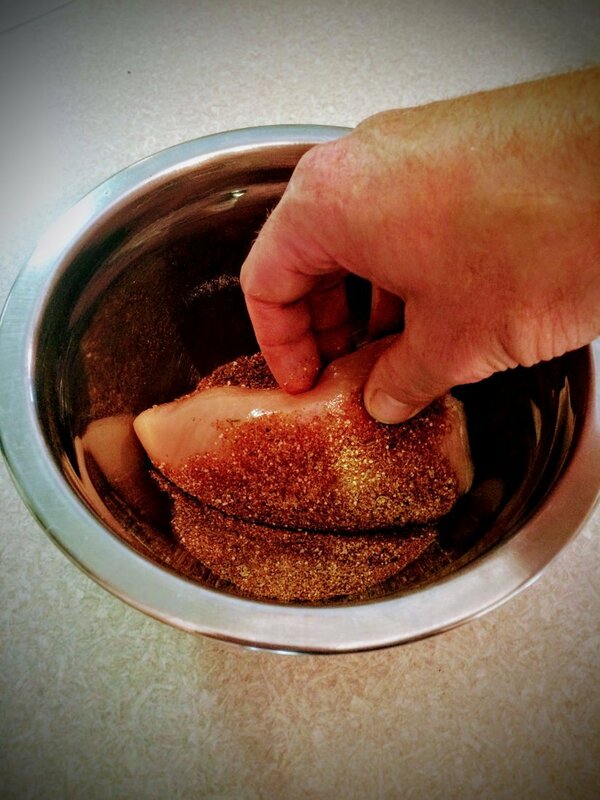 Apply this dry rub to your chicken breast liberally and allow to sit for a minimum of two hours. If time allows, you can apply to meats 12-24 hour in advance for fullest flavor absorption. Preheat grill for 10-15 minutes to medium high heat. Grill chicken until finished. 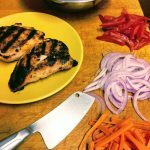 Typically, a 6oz chicken breast will need to be cooked about 5 minutes each side having been rotated every couple minutes. 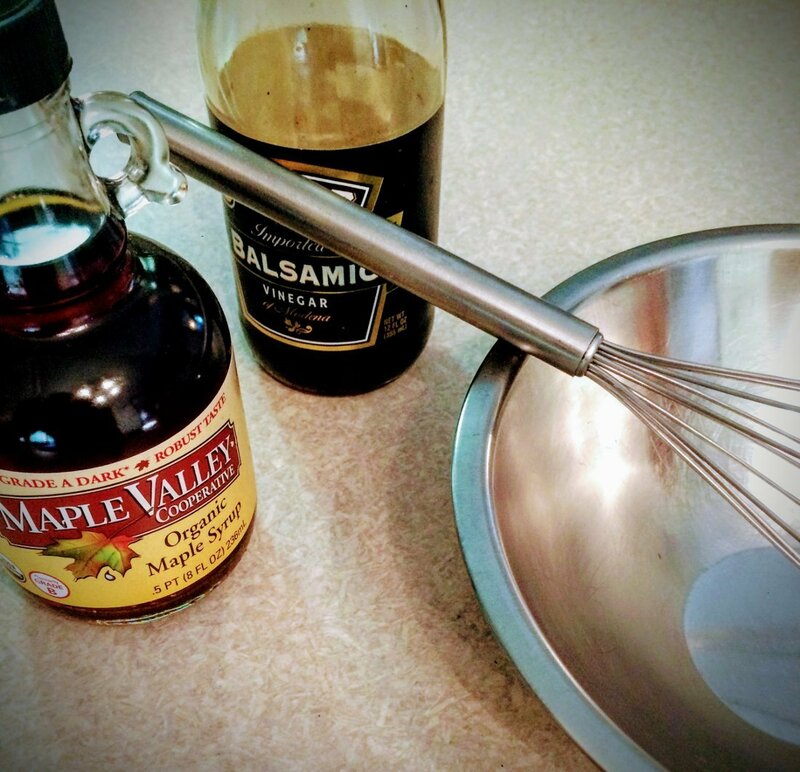 This maple balsamic vinaigrette is extremely simple and is one of my all around favorites for all types of mixed salads. In this case I’ve used baby spinach in this salad, but really any variety of greens will compliment this dressing, it is very versatile. 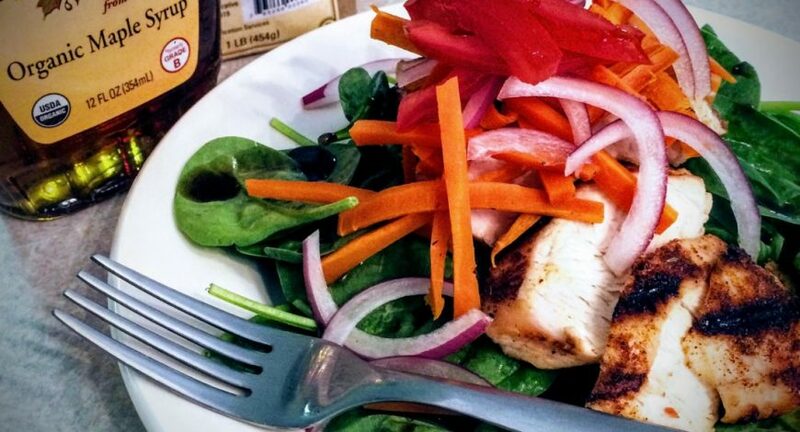 Whisk together all ingredients and serve over salad.